Leslie Martin is orginialy from Bloomington Indiana. She worked in Body Weld & Assembly Departments at Toyota Motor Manufacturing, Indiana in Princeton from 2002-2017. 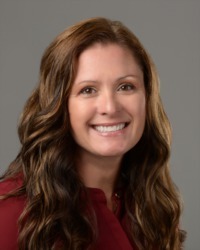 Leslie attended Real Estate School with Tucker in Avon Indiana in the winter of 2018. Leslie joined F.C.Tucker Emge Realtor's downtown Evansville office location on October 17, 2018. Leslie inadvertantly shadowed her Mother, whom was a realtor in Bloomington while growing up. Leslie has had a desire for the real estate industry ever since helping her Mother with open-houses or answering telephone calls & taking messages for her Mother. (Back then her Mother did not have a cellular phone.) It was this passion that inspired her to leave the Assembly line & go after a career she always had an adoration for. Leslie is committed to helping people find the right house. She is patient, understanding, & pledges not to be pushy. She will not force any sales. She will stay devoted to her buyers until it is right for them. She will dedicate all of her time to emailing her customers updates on the market search. She will be prompt to answer your calls. She will be quick to respond to emails, voicemails, & text messages. Leslie will also be swift in answering any & all questions you may have. Her customers are her job, her passion, not a side hobby. Surrounded by seasoned realtors, renowned management, & supporting staff she will be able to competantly assist buyers with any of their needs. Leslie Martin will walk through fire to get houses sold. Open houses, you got it. Exposure, you got it. Leslie has a large following that will also allow her to get the word out on her listings. She has connections In Vanderburgh, Posey, Warrick, Gibson, as well as buyers coming from Kentucky. She worked with over 5,000 people at Toyota & lived in Gibson County for 15 years. This woman knows a lot of people! !